The Vibra Shaft Painted Blade Spinnerbait features a durable, stainless steel tapered wire that transfers all of the vibration to the tip where the blades are, creating an attractive call to game fish. With a detailed head, painted blades and accent flash skirts this lure calls attention to surrounding fish, while the superior water displacement makes it both effective and efficient. 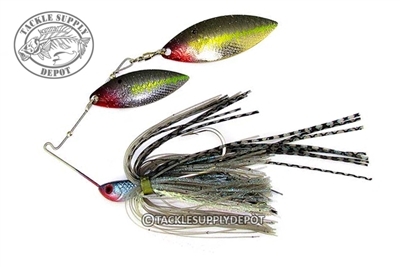 The Stanley Vibra Shaft Painted Blade Spinnerbait is made of durable, stainless steel material.